John Beck, Jr. has been actively involved in each aspect of Beck Steel from his humble beginnings doing odd jobs in the steel yard as a youngster, to working in the shop in the summers while in grade school, to his sales and estimating role after graduating from Texas A&M, and into his eventual appointment as Beck Steel’s President/CEO and Chairman of the Board in January 2017. John is responsible for all aspects of the business and has extensive experience in estimating, sales management, forecasting, strategic planning and business development. He leads, manages, and works directly with the executive leadership team to create growth strategies for both the business and its team members and is well versed in the needs of the clients. 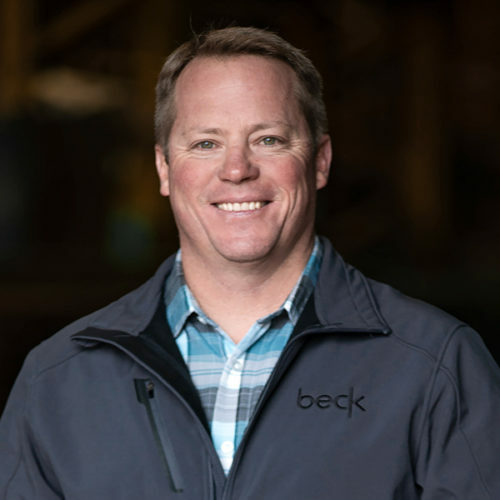 John is driven by the business values and work ethic instilled in him by his father and grandfather who established and led Beck Steel since 1972, as well as witnessing the opportunity around him and his top quality team’s ability to raise the quality of life for families and their West Texas community. John and the Beck Steel team have consistently proven effective at navigating the complexities of steel fabrication. 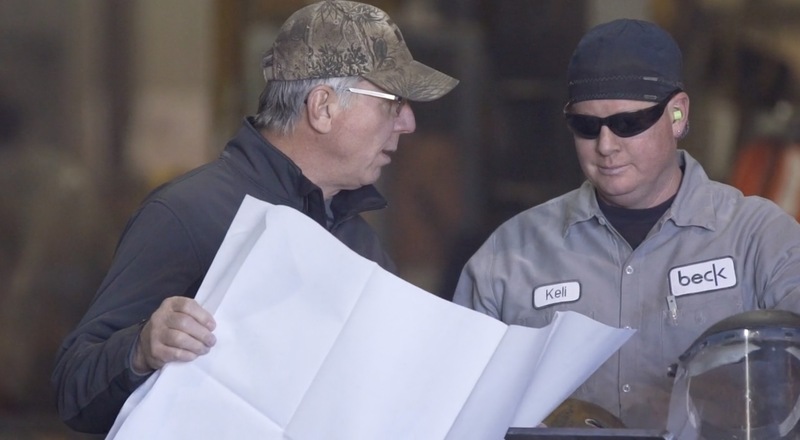 Under the direction of John Sr. and then John Jr., the company has grown to be one of the most recognizable and respectable steel fabricators in the nation. John’s core belief in leading the industry through valued relationships and developing people has resulted in many key partnerships in the construction industry. These partnerships ensure that Beck Steel’s products and services continue to meet the highest standards of excellence. John firmly believes in putting God first and using Him in developing people. He spends his time away from Beck Steel traveling with his family, watching his kids play sports, and building muscle cars. 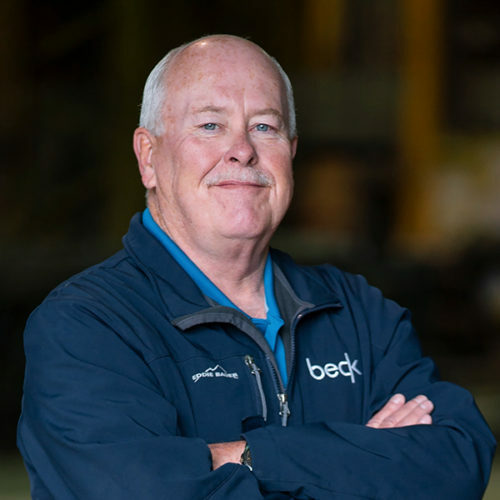 Bill Williams joined Beck Steel in early 2017 after spending over 40 years in various manufacturing roles from material procurement to managing entire operations. 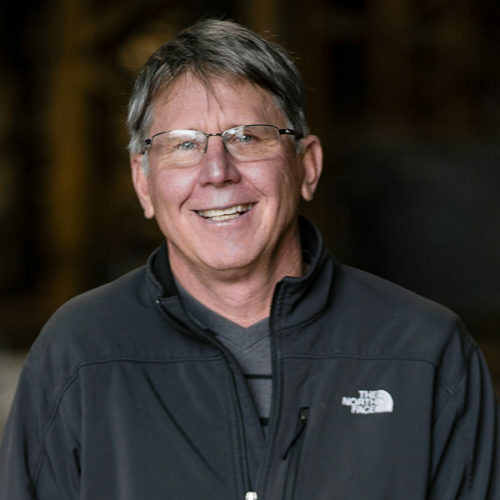 Bill attended Texas Tech University and began his career in materials management with ITT Goulds Pumps and spent the next 31 years moving into various roles with increased responsibilities. After retiring from ITT, Bill served the subsequent 8 years as General Manager for a company that supplies highly engineered components to original equipment manufacturers covering multiple markets and industries. Following his second retirement, he began his career with Beck Steel in sales and estimating and quickly took over contract management duties. Bill earned his certification in Lean Value Based Six Sigma from the University of Michigan. Married, he has 5 children, 11 grandchildren, and 1 great grandchild. Randy has been in the steel fabrication industry since 1979. He started as a helper and with hard work and dedication worked his way thru the ranks as a certified welder, fitter, shop foreman and eventually moved up to plant manager. He worked in the erection side of the business for 3 years as an ironworker and foreman. 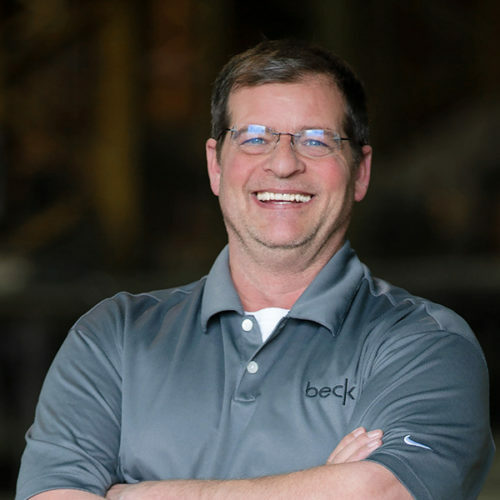 Randy became a part of the Beck Steel family in January 2003, working in the sales and estimating department for one year before moving into Project Management. He currently oversees the Beck Steel Project Management Department. In his career he has worked on major projects throughout the United States. Randy is married to Joyce and they have one son, Clayton, and daughter in-law, Melanie, that reside in Fort Worth, Texas. Randy enjoys the outdoors, hunting, fishing, hiking, and spending time with his family, 2 dogs, and friends. Kurt Moore is the Plant Manager of Beck Steel with over 30 years of steel fabrication experience. He is tasked with overseeing the shop team members, production schedules, delivery schedules, and overall efficiency of the plant. 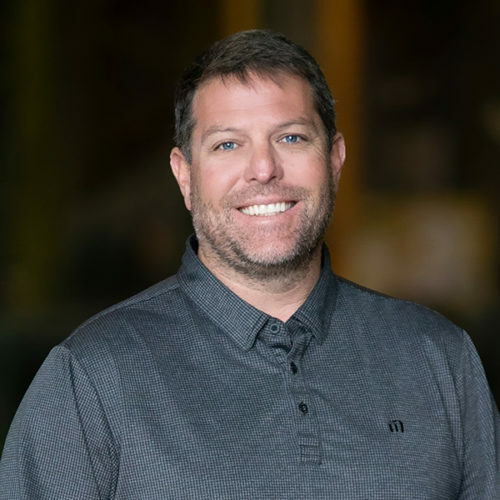 Kurt holds a CWI certification which he earned in 2016, an ASNT-NDT Level II Ultrasound certification, and a Certificate Approval of Quality Control Inspector from the City of Los Angeles. 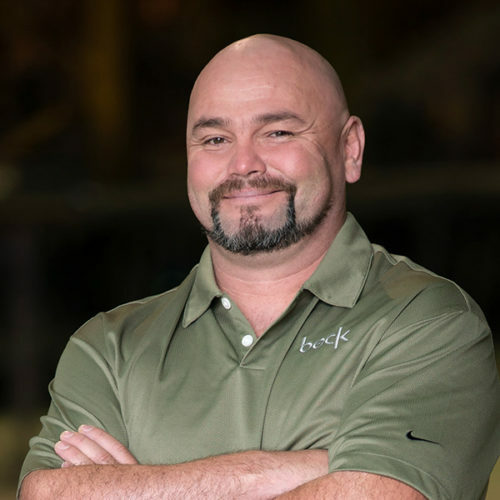 A native Texan and former body builder, Kurt won multiple titles in his divisions before beginning his early life career as an 18-wheeler truck driver. Kurt has been a dedicated family man for over 30 years. He is married to his best friend, Kaye, who is his biggest cheerleader and strongest support system. Together they have four sons and two beautiful granddaughters. 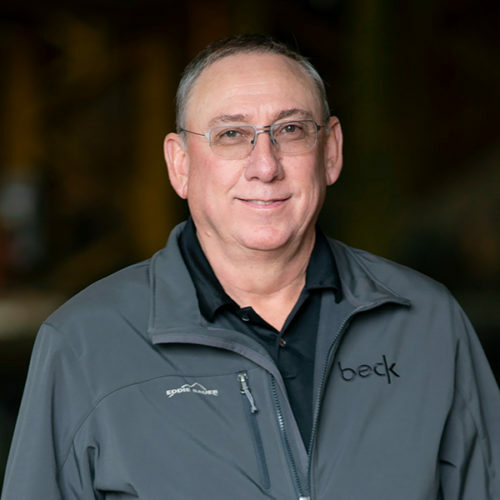 David Marburger is Beck Steel’s Vice President of Quality Assurance. He has been employed at Beck Steel for 24 years. David has 40 years of experience in steel fabrication and has been a Certified Welding Inspector for 18 years. He has proudly lived in Shallowater Texas for 54 years, been married to his beautiful wife, Victoria, for 38 years and has 2 wonderful children and 2 grandchildren. Doing yard work and traveling in his spare time keeps life interesting. Jeremy Moore was born and raised in Lubbock, Texas, graduating from Monterey High in 2000. After searching college for his life path, he started his career at Beck Steel in 2001. Jeremy is a second generation Beck Steel employee. He married Lindsay Moore in 2010, and they welcomed their first child, Daphney, in 2017. Jeremy loves to golf, cook, hunt, smoke cigars, travel, and visit New Orleans. You can find him most Saturdays cheering on the Red Raiders. Jeremy loves to spend time in the mountains with friends and family. Jeremy has overseen the estimating department since 2012. In that time, he’s overseen many projects, including: ARTIC, LAX Southwest Airlines Terminal Renovation, LAX United Airlines Terminal Renovation, and the Apple Campus Parking Garage. Jennifer Nesbitt leads the Human Resources function for Beck Steel and oversees all aspects of the department. Serving many years in the role of ‘HR Department on One’ provided Jennifer the opportunity to work in all areas of HR including talent strategy, training, compensation, benefits, payroll, employee relations, performance management, succession planning, leadership development, workers compensation, safety, and policy development. Jennifer joined Beck Steel’s team in 2012. Using her expertise in both operational and strategic HR practices, she has taken a leadership role in developing Beck Steel into a recognized employer of choice. Jennifer is passionate about creating cultures of collaboration, establishing systems and training that will develop leaders and empower team members to solve problems, and implementing change to achieve workforce excellence. 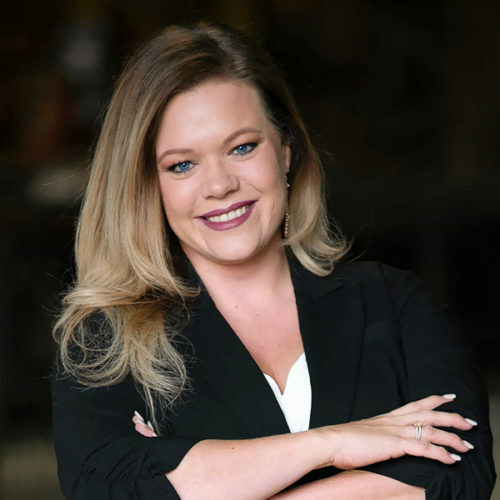 Jennifer was born and raised in Lubbock, Texas, and graduated from Coronado High School before earning her bachelor’s degree from Wayland Baptist University. She achieved the designation of SHRM-Senior Certified Professional (SHRM-SCP) from the Society for Human Resource Management and has served in several positions, including President, on the local Lubbock SHRM Chapter Board of Directors. Jennifer is blessed by an incredible husband and two wonderful children. 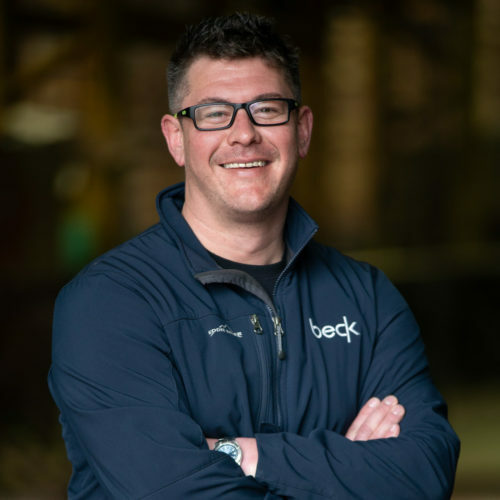 Matt Tucker is the Director of Operations at Beck Steel. He has over 13 years’ experience in Manufacturing Operations, as well as Plant Management. He is an experienced Lean Six Sigma advocate and has his green belt for the Institute of Industrial Engineers. Matt has a wonderful wife, Amber, and three beautiful children. Their names are Jack, Chloe, and Greyson. James Marsh’s 20 years of detailing and coordinating experience form the foundation for his role at Beck Steel as a Project Manager. Primarily managing projects for stair design, stair design for seismic regions, and complicated miscellaneous steel in concrete buildings, James has extensive experience managing OSHPD and DSA regulated projects. James graduated from High-Tech Institute in 1995 with a Technical Associates Degree in Electro-Mechanical Drafting and Design. Soon after graduating, he started in the steel industry as a Structural Detailer for a small drafting firm in Lubbock, Texas. 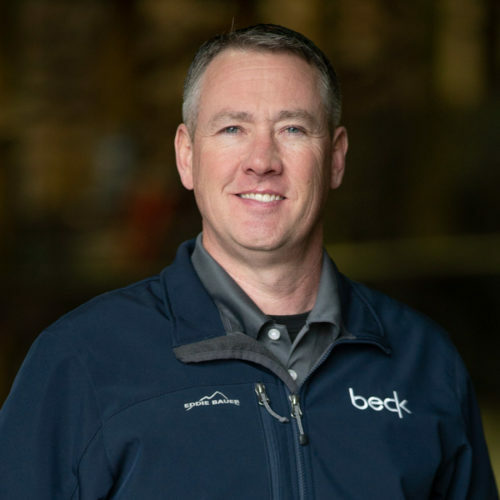 In 2001, James began his career with Beck Steel as a Miscellaneous and Structural Steel Detailer/Project Coordinator and was promoted to the role of Project Manager in 2012. 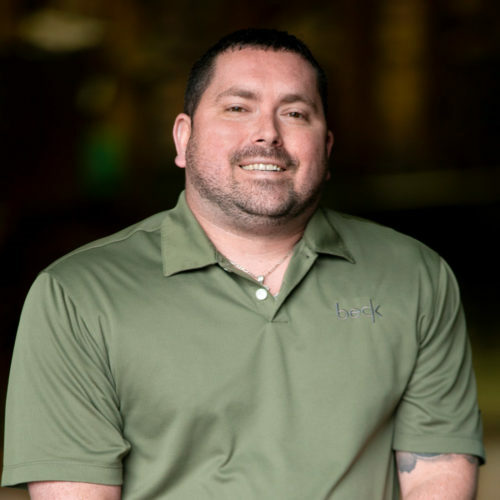 Jason Williams is a decorated Marine Corps combat veteran, having served in the nation’s conflicts of Operation Iraqi Freedom and Operation Enduring Freedom. While in theater, Jason held extensive leadership roles and attended Corporal’s Leadership Course for non-commissioned officers. With 8 years of service, ending as a Platoon Commander with meritorious promotion to Sergeant in August of 2011, Jason was honorably discharged from the Corps. 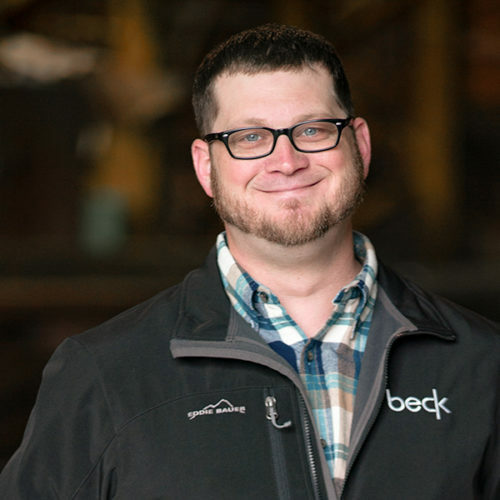 After his end of service, Jason joined Beck Steel as a material handler. With dedication and an opportunity to grow within the business, he moved to sales and then on to project management where his years of leadership experience could be utilized on company projects. He attended steel school in 2013 to become more familiar with the metallurgical and manufacturing divisions of the hot and cold rolled steel industry. He has managed various projects as a subcontractor for both National and International contractors. In 2013, Jason was blessed with the arrival of his son Bristol. Colin Peckham began his career in steel erection in 1996, while finishing college by making deliveries, repairing equipment, and supporting field erection. By 1997, Colin had earned a degree in Communication from Cal State San Bernardino and a degree in Civil Engineering from Long Beach State. Throughout the years, he has had increasingly more responsibilities and has extensive knowledge and experience as an Ironworker, Field Engineer, Detailer, Estimator, and Project Manager. In 2010, Colin came to work at Beck Steel as the Field Operations Manager. Today, he handles all field issues, coordination, and management of the Field Project Managers on the West Coast. Some key projects that Colin is proud to have been a part of are the J. Craig Venter Institute in La Jolla, Coronado Island P750 Hangar, Disney, ARTIC, and United LAX. Colin is raising two girls. Together, they enjoy anything outdoors including: boating, water skiing, snow skiing, mountain biking, hunting, off-roading, and camping. Soren Stufkosky is a Field Project Manager at Beck Steel. Soren has been in the steel fabrication/erection and heavy construction industry for 20 plus years. In those 20 plus years Soren has managed project in the commercial, industrial, civil, heavy civil construction projects for private, federal and public sectors such as roads, drainage, retaining wall, bridges and structural concrete, power industry, aggregate, metal an non-metal mining, rare earth mineral mining, chemical, petro chemical, manufacturing, and processing. Soren has been married for 20 years to Marcie and has two kids, Jacob, 15, and Jessica, 13. Soren enjoys all outdoor activities, boating, and off-roading, skiing/snowboarding, competitive shooting, hunting, fishing, hiking, camping and traveling with his family. Born and raised in Lubbock, Texas, Jacob Ham has always been fascinated by the construction process. Jacob graduated from Texas Tech University with a Bachelor’s degree in Construction Technology from the Edward E. Whitacre College of Engineering. 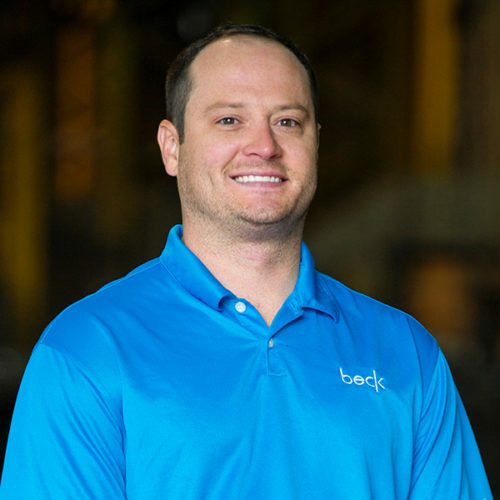 He joined the Beck Steel team in 2015 as a Project Coordinator and was promoted to Project Manager in 2018. Jacob enjoys the unique challenges that each job presents and takes pride in his involvement in projects that span the country. Curtis Bolton became a Project Manager for Beck Steel in 2018. He has 20 years of experience in the steel industry holding positions in detailing, estimating, and management. His past projects include the NASCAR Hall of Fame, the Charlotte Epicenter, Cobb Energy Performing Arts Center, the Duke University Expansion, and Hartsfield-Jackson Airport Landslide Modernization Canopies. He currently resides in Atlanta, Georgia, where he manages Beck's projects in the eastern region. When not at work, Curtis enjoys motorcycles and traveling. Raymond 'Ray' Trujillo has been in construction for 20 plus years learning how to build, create, and manage. Interests also include all aspects of safety and production. After being offered a position with Beck Steel, he moved to Atlanta and is currently enjoying the city life in Georgia. Prior to Beck Steel, Ray ran his own handyman company, as well as a DJ Entertainment company doing weddings, promotions for radio stations, and private events. After receiving an Honorable Discharge from the US Navy, he started down the path to construction and hasn’t looked back. Olya grew up in St. Petersburg, Russia, where she developed her appreciation for architecture and fine art. She studied Restoration and Reconstruction of Architectural Legacy at St. Petersburg State University of Architecture and Civil Engineering. In 2009, she moved to the United States to further her studies in Construction Management. Olya began working as a custom decorative lighting designer and project manager at Del Mar Lighting. She then joined Clark Construction Group as a Junior Estimator. Throughout her tenure with Clark, Olya gained experience in a variety of modeling software, construction management scheduling, and practical application of these skills during Public Private Partnership (PPP) project at Long Beach Civic Center as a Project Engineer. 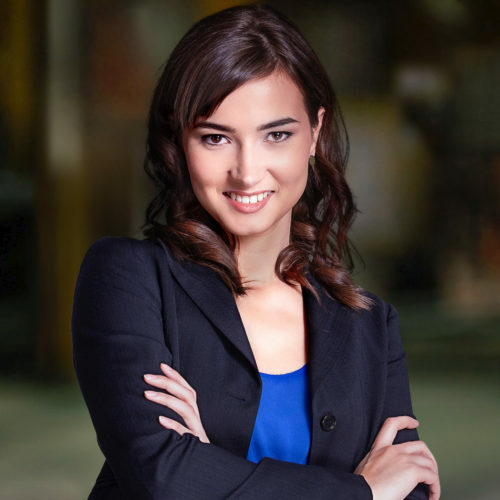 In January of 2019, Olya was driven to an opportunity to become a major asset in the steel fabrication industry joining Beck Steel as a Field Project Manager. Olya serves an intricate role as an ambassador in field operations, managing schedules, coordination, logistics, and overall customer satisfaction with our product. 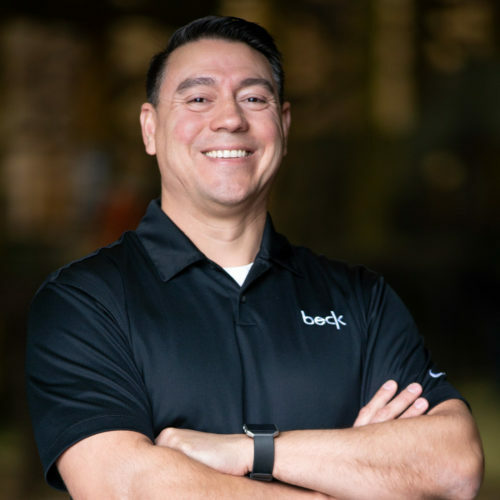 Oskar Ramirez joined the Beck Team leading our Professional Development, Transformation and Strategic Growth program. As a leader, his background includes over 20 years of leadership and professional development experience in the Army Reserve, where he achieved the rank of Command Sergeant Major, with expertise in leader forming and development, processes analysis, and core leader mentoring. Oskar's education includes a Master's Degree in Leadership from Grand Canyon University in Arizona, certificates in instructional techniques, small group instruction, and educational content development. 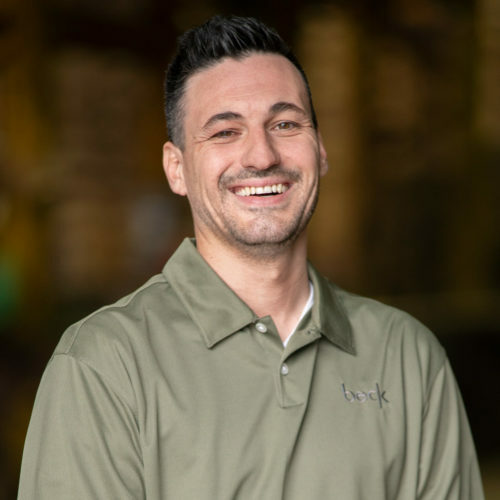 As a leader and mentor, Oskar's strengths reside in his ability to teach, train, coach and mentor people into successful leaders and develop strategies for every day challenges. 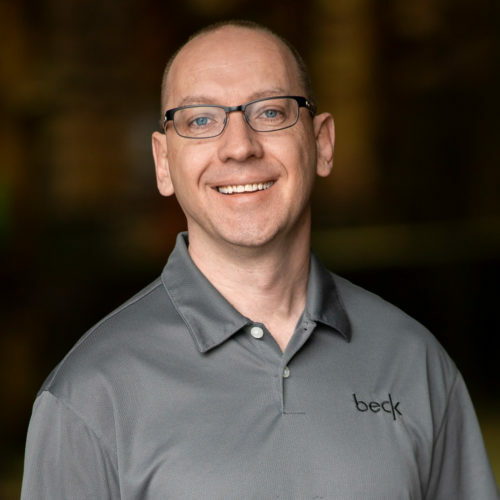 His talent to form and lead groups in various environments and conditions brings a new skill and capability to Beck's formidable and proficient team of professionals. Oskar is blessed with an incredible family, his lovely wife and amazing daughter.